Skip the Cooking and Help Save Pets with ARFP and McAlister’s! It’s time once again for dinner at McAlister’s! 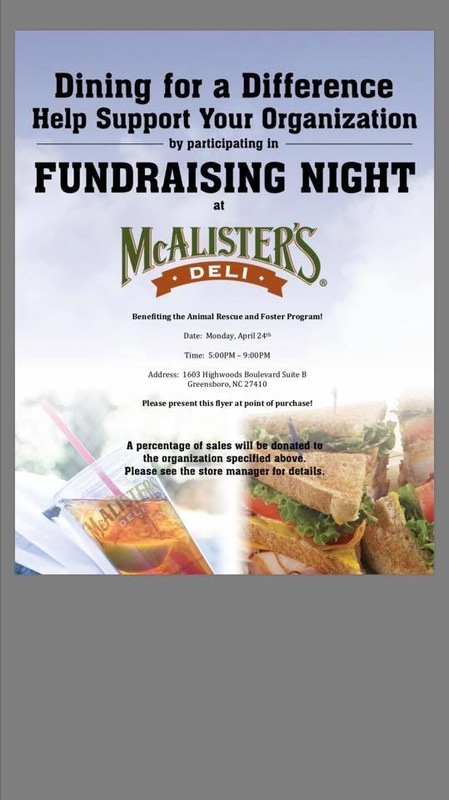 On Monday, April 24, 2017, bring the attached flyer to McAlister’s Deli on Highwoods Blvd in Greensboro from 5-9 PM, and McAlister’s will donate a percentage of the sale to ARFP. Kitten and puppy season is here, which means more medical expenses as we get these homeless pets healthy, vaccinated, and ready to go to their forever homes. So skip the cooking on April 24, and help us save more puppies and kittens!